In the previous round, Djokovic faced competition from Italian player Andreas Seppi. Both of them played three sets where Novak was declared as the winner by a score of 6-1, 7-5, 7-6(6). It was a smooth win in the first set for him as he won in just 25 minutes. In the rest of the two sets, Seppi increases the level of his game. Talking about the last season and at the same point of time, Seppi beat Roger Federer. But, Novak’s win over Seppi has given him a lot of confidence. If Djokovic successfully wins the title, then he will level the record of Roy Emerson. Moreover, he will become just the 6th men to win six trophies at any grand slam event. He has won 87 matches out of 93, thus, he is perfectly in the form of his life. So, he can do it with little more efforts. However, Gilles Simon, 31, can give competition to him. Simon defeated Argentine lefty Federico Delbonis in his last game on Friday. He got the victory after playing four and five sets against Vasek and Evgeny respectively. Thus, looking at his track record, Simon may prove to be a strong opponent for Novak. It is quite evidently visible from the fact that he has won over Roger Federer and Rafael Nadal. In the very first meeting of theirs, Simon won but he has lost the last 8 matches against the Serbian player and the last being last year. Simon is aiming to get into his second Australian Open quarter-final. However, he may need to wait as Novak is light years ahead of his opponents at this point of time. Meanwhile, Simon can make things interesting at least for some time. 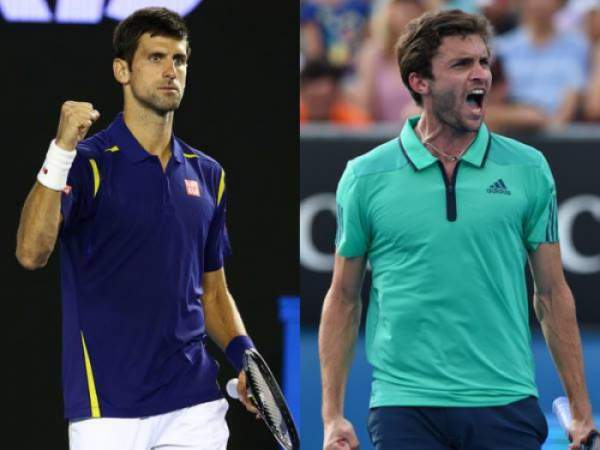 Stay tuned for latest Australian Open 2016 news and other sports’ updates. Don’t forget to share it on social media sites like Facebook, Twitter, Google Plus and others.